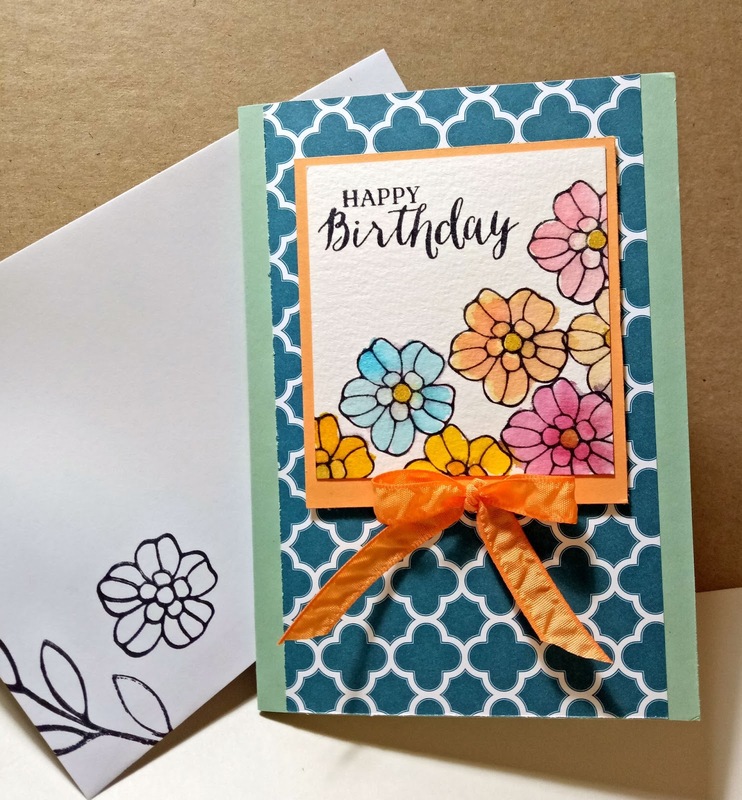 Create a lovely and cheerful little flower card with none other than the Rose Wonder stamp set! 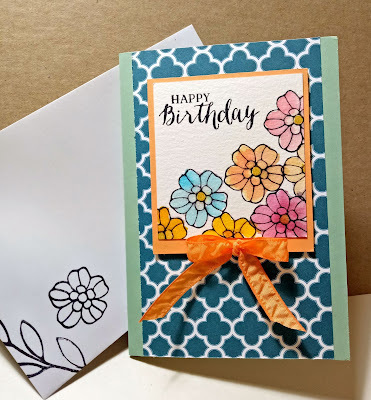 The little flower in that stamp set makes a beautiful pattern when stamped repeatedly and coloured with an aqua painter. All current supplies are listed below and are available for you to order from my SusanSalutations online store.